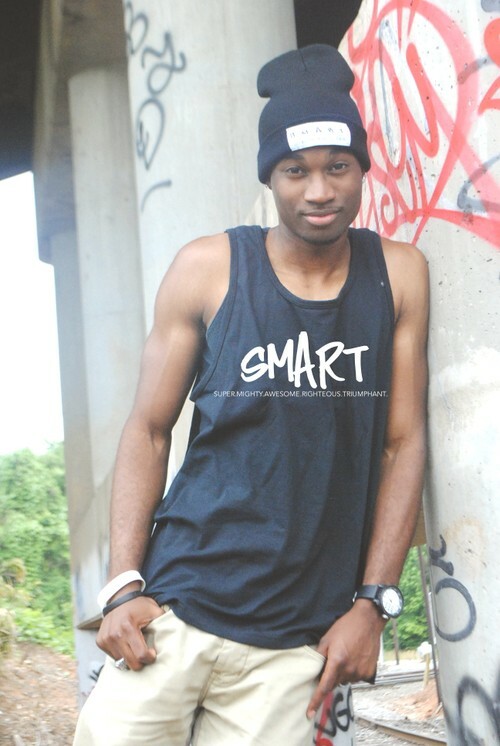 The SMART Hat Collection is a stylish clothing and accessory line that transforms the fashion industry as we know it. From urban streetwear to a fun night out, SMART’s clothing, hats and accessories send a stylish and positive message to wearers. This collection is inspired by a 10 year old with Asperger’s dream to bring confidence for end of year test takers. Fast forward one year, and the line has taken off. Most recently, the SMART Hat Collection was a featured designer in the 4th annual Trend*Setting Fashion Show with producer, Latrisha Valdez-Rushing. Now, SMART continues to grow with big plans for the future, including raising awareness and giving back. Something that never goes out of style. We were fortunate to do be featured in a photoshoot for the SMART Line. Working with multitalented designer Dinah Pittman is a joy! She radiates energy and love. Her line is a true reflection of her and her son’s heart-sharing faith, love and style. 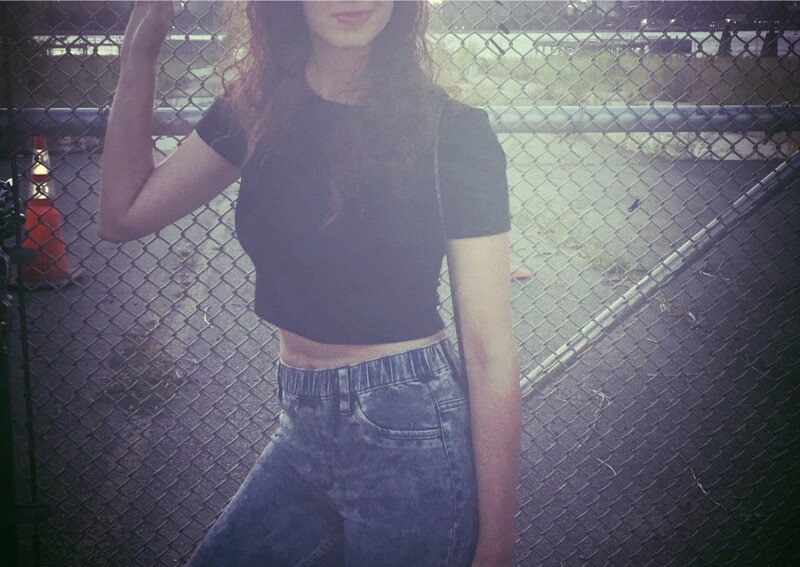 Check out some of the looks and our fave pieces of the line. 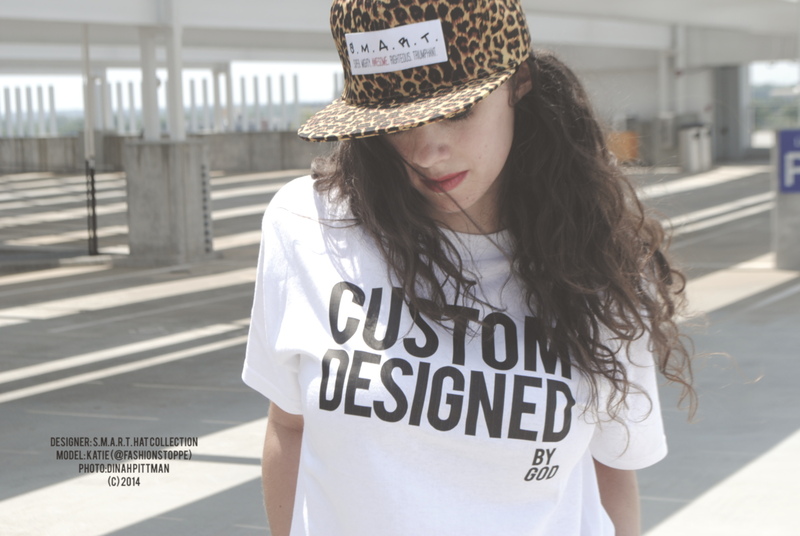 One of our faves, the Custom Designed by God tee. Available for men or women. Look for a standard or baby tee. Plus, who can resist an animal print hat?! <For you formed my inward parts, you knitted me together in my mother’s womb. I praise you, for I am fearfully and wonderfully made! Psalm 139: 13-14> You are truly Custom Designed by God. You’re beautiful and there is no one like you! Meet Model Brandi Crenshaw. Dress it down, dress it up. She pairs a SMART tee with a colorful tutu perfectly. Check out some other ways she pairs the look at smart-hat.tumblr.com and shop the Look Book! <So God created man in his own image, in the image of God he created him, male and female he created them. Genesis 1:27> God intricately, purposefully and intimately designed you. He is interwoven in the fabric of our beings. He is our ultimate Designer and Inspiration.The Smart Hat Collection reminds and connects us to our true selves, meant to be in harmony with God. 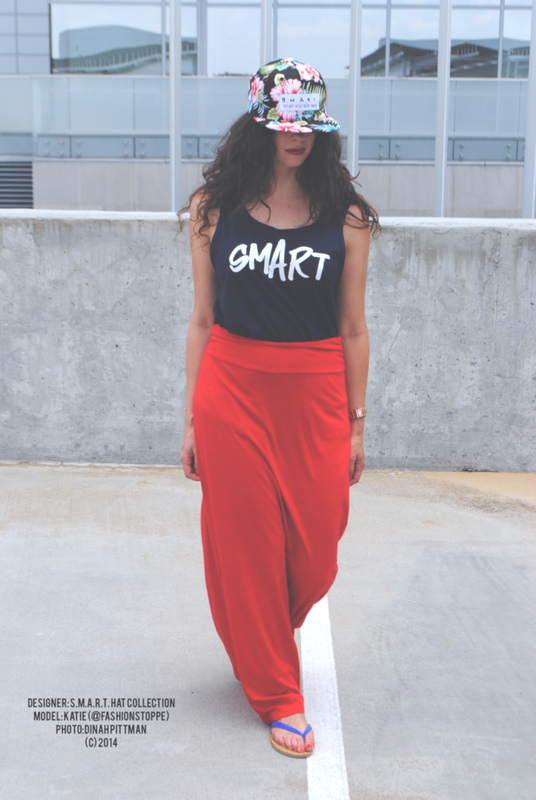 We love how versatile the SMART tank can be! Add to a skirt to hit the town, incorporate flops and a suit for the beach, or add jeans for a casual look. You’re going places. The SMART Guy. Meet model, Payton Bolin. This tank is perfect for khakis or jeans, casual or comfortable wear. Don’t forget your SMART Hat on your way out the door. Below: Exclusive interview with Dinah Pittman, designer, founder, stylist and photographer! Learn the designer’s fave pieces, how to get exclusive news and more! What started you on the Smart Hat Collection? Well, my son, who had just turned 10 at the time (he’s now 11), was getting ready for the 4th grade End of Grade testing. For all kids, this is a big deal, and sometimes it can be super scary. When you throw in Asperger’s syndrome, which my son was diagnosed at 5, or any other learning difference, for that matter, it can be even more difficult to provide encouragement. During that time, he said to me, “Mommy, I think I need to make a ‘SMART’ hat to help me pass my EOGs.” So we did just that. I told him we should think of words that SMART could stand for. He started calling out words for each letter: ‘SUPER, MIGHTY, AWESOME, RIGHTEOUS’, and we later thought of ‘TRIUMPANT’. This made me think of the fact that these are all words we use to describe God, and things that we strive to be. So, the SMART hat can encourage us to be our best, and define ourselves with these words. Such an inspiring story. Recently, SMART made its runway debut at the Trend*Setting Fashion Show. What was going through your mind during that? I was super nervous, because it was the first time I had presented my line, or anything at a fashion show. I really appreciate LaTrisha Valdez-Rushing (producer) for her encouragement and the opportunity to present my collection. I just wanted everyone to get the message, and I think they did. What is your source of encouragement with this line? Honestly, the grace of God. With all that He has done for me, I would dare not allow the gifts and graces He has given me be wasted or not used for His kingdom. So when people say, “I love your message”, I know I’m doing the right thing. Love it. What are some challenges you’ve faced pursuing your line? How do you overcome them? Major challenges have been funding. I have some things in place that are helping with that part. Another is dealing with people who only have their interest at heart. You have to separate friendships and work, and figure out who you can and can’t work with. So true. Business is a tough balancing act. What advice would you give to a new designer or artist starting out? Stay true to the gift or passion that you have been given, and don’t try to work in anyone else’s passion. God has given us certain gifts to equip us to do work so that He will get the glory. Just DO IT. Wise men have told me, don’t be afraid to fail, that’s the best thing you could ever do. Words of wisdom. What is your fave piece(s) from the line? My favorite is anything with “DEX” the Brainiac on it. I designed him and I love the way he looks on anything! Also , I love the shirts that say “CUSTOM DESIGNED By GOD” because, we are just that…Custom Designed by God, for God, and to do His work. Anything else you want fans/people to know? Just that God is greater than anything. Any problem, any sickness, any situation…anything! And if you give Him the glory, He will bless your socks off!! Also, we support Autism Awareness and Breast Cancer. Once we get to a certain point, SMART will be donating some of the proceeds to a camp in Georgia that facilitates activities for children on the Autism spectrum, as well as one of the causes for Breast Cancer research. Where can fans follow you on social media? Thank you so much for the interview and exclusive news on SMART. We can’t wait to see your SMART takeover! *All looks and photos were styled and taken by Dinah Pittman.